The 2019 Junior Boys’ & Girls’ Championships will be played concurrently at Hershey CC’s East Course. Boys and girls will not compete together or against each other, but will be playing on the same course at the same time. The Junior-Junior (13&Under) Boys’ & Girls’ Championships will be conducted at the Hershey Spring Creek Course. 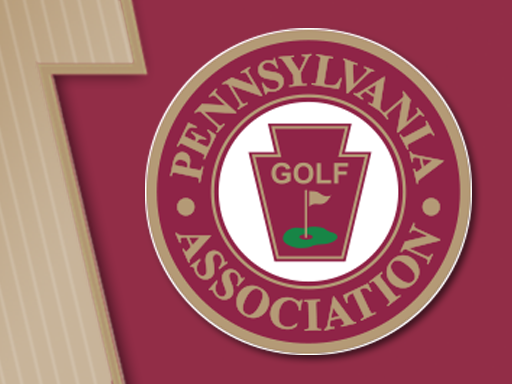 The Junior Championships and Junior-Junior (13 & Under) Championships will be played over 36-holes of stroke play on the East Course at Hershey Country Club. Players will be re-paired for the second round according to first round results. The U13 age group will play both rounds on the Hershey CC Spring Creek Course. Tee times on Spring Creek for U13 are approximately 1pm on day one and 10:15am on day two. The Championships are open to any male or female player who is a member of a club belonging to the PAGA, or an Individual Member of PAGA. All players must not have reached their 19th birthday by June 26. All Jr./Jr. participants must not have reached their 14th birthday by June 26. Ages 14-18 - 26.2 under the USGA Handicap System as of June 15. Ages 13 & Under - Must have an active handicap. The Pennsylvania Junior Boys’ and Girls’ Championship age requirement increased to 18 years old in 2017 to follow the lead of USGA. In anticipation of increased participation, the Association is implementing exemptions based on previous performance in the Junior Championship. The top 30 boys and top 15 girls from the 2018 event will be exempt in 2019. Entries will then be accepted on a first-come, first-served basis. The Junior Championship field will be limited to 156 players, to include 39 girls and 117 boys. A wait list will be established to accommodate any overflow in entries. All entries must be received by 11:59 p.m. on the entry closing date. Entry fee payment of $130 must accompany entry. The PAGA staff, following as closely as practical the preferences indicated on the entry blanks will determine pairings and tee times. The "Official Time" will be maintained at the starting tee(s) only. Starters will not page players in advance of their starting time. Players should report to the tee one starting interval prior to their tee time. 1st round results will determine 2nd round pairings. Tee times on Spring Creek for U13 are approximately 1pm on day one and 10:15 am on day two. CADDIES: A player may not utilize anyone who is over the age of 18 as a caddie. The individual with the lowest gross score after 36-holes will be declared the Junior Champion. Prizes will also be given to the top two finishers in the Junior Championship and the top two finishers in the 13 & Under age division. The Boys’ team competition is the best 3 of 4 scores each day. Girls’ team competition is best 2 of 3 scores each day. The teams with the lowest total score after 36-holes will be declared the Junior Team Champions. The winning teams will be awarded individual prizes. In the event of a tie for the Junior Boys’ or Girls’ Championship there will be a sudden-death playoff immediately following the conclusion of play Tuesday afternoon. For flag award presentation only, all other ties will be broken by matching scorecards in accordance with USGA guidelines. In the Junior Boys’ Team Championship, the fourth score (or 3rd for Girls’) from the final round will be added to the total team score. If a tie still exists, the fourth score (or 3rd for Girls’) from the first round will be added. Teams with only three players (or 2 for Girls’) will suffer defeat against a team with four players (or 3 for Girls’) for failure to have a tiebreaker score. Special Note: The 2019 Pennsylvania Junior Championship is part of the AJGA’s Performance Based Entry program, which enables 14-18-year-old members to earn their way into AJGA Open tournaments. Practice rounds are available on Sunday, June 25, after 11am. Please call the golf shop up to two weeks in advance at 717-534-2464. Walking is permitted, pull carts are permitted. Please be at your starting tee ten minutes prior to your starting time. Will be available for purchase in the clubhouse. A lunch buffet is included in entry fee for all players on each day of competition. There are several hotels in various price ranges in the Harrisburg/Hershey area.